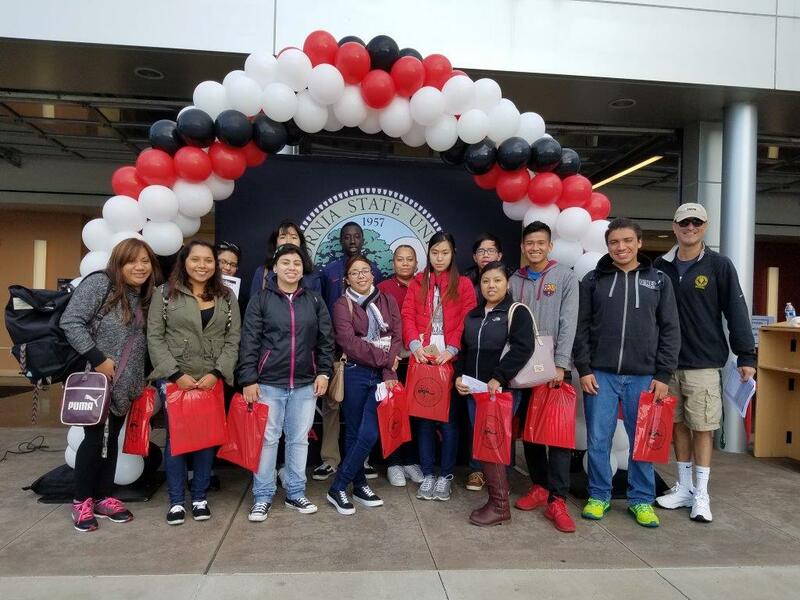 On October 14, 22 Cañada College students attended Cal Engineering Day at U.C. Berkeley. Despite the rain, it was a very successful University Visit. Students learned about the many engineering majors at Cal and heard from Admissions representatives and Support Services Directors. They visited the labs, and heard personal stories from community college students who are now at Cal.The following day, October 15, Cañada students attended Preview Day at CSU, East Bay. The day began with a guided campus tour where students walked through student dorms and toured the Academic and Student Services buildings. The students learned about student life, clubs, and support services in the University Showcase. They met with staff and faculty from various academic departments during the Academic College Welcome session. They had the opportunity to attend workshops regarding admissions, transfer requirements and Student Equity & Success Programs (SEAS). The day ended with lunch in the Pioneer Heights Dining Commons. Also, on, October 22, a group of sleepy, dedicated students met at 6:15 a.m. to UC Merced to attend Preview Day for the School of Social Sciences, Humanities and Arts. The day began with a Welcome followed by presentations from faculty. Students went on their separate ways to attend presentations from individual Academic departments, Student Services, Financial Aid, and Transfer Admissions 101. UC Merced arranged for a special campus tour led by a Transfer Student Ambassador. The students enjoyed lunch in the Dining Center before heading back to the Bay Area. University Visits are funded by the ¡ESO! and MESA grants as well as the Center for Student Life and Leadership Development Vending Commission.